It's hard to believe we are already almost at the end of October and Halloween is just around the corner! The kids have been talking about Halloween pretty much since last year. The costumes they will wear, the trick or treating they will do and the candy they will eat collect. I have always loved Halloween and with three kids, we like to keep it simple, with a little help. Hasbro has some ghoulishly fun ideas for Halloween this year from tricks to treats and everything in between. If you are planning a Halloween party or your kids are going to one, instead of handing out candy bags try treats without the sweets from Play Doh! Themed for Halloween, Play Doh bags have you covered with 15 individual mini Play Doh containers for your little goblins. My son is excited to hand these out at school during their class Halloween bash, I'm sure his teacher will appreciate the sugarless fun! 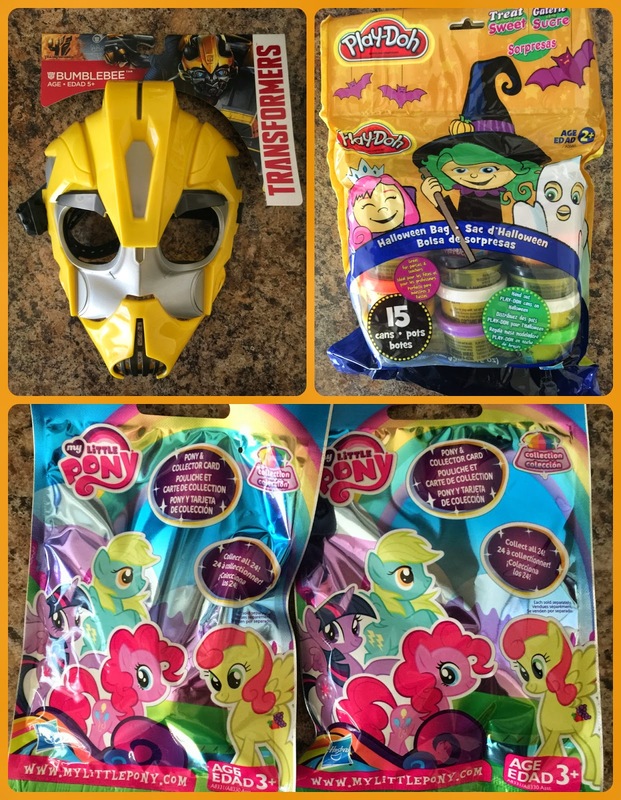 More fun ideas are the My Little Pony bling bags, Kre-O Transformers Micro Changers or My Little Pony Micro Figures etc which are little themed surprised bags with a miniature toy inside for your party goers. My daughter likes collecting the My Little Pony Bling bags which come with a sparkly MLP figure inside. Does your little one love dressing up as a super hero? Hasbro has you covered with great Marvel Super Hero masks! You can dress it up for Halloween with your own DIY super hero costume, wear them to a themed party or add them to the collection for everyday imaginative play! My son has been collecting these masks for a while now and loves to role play pretending he is one of his favourite super heroes! 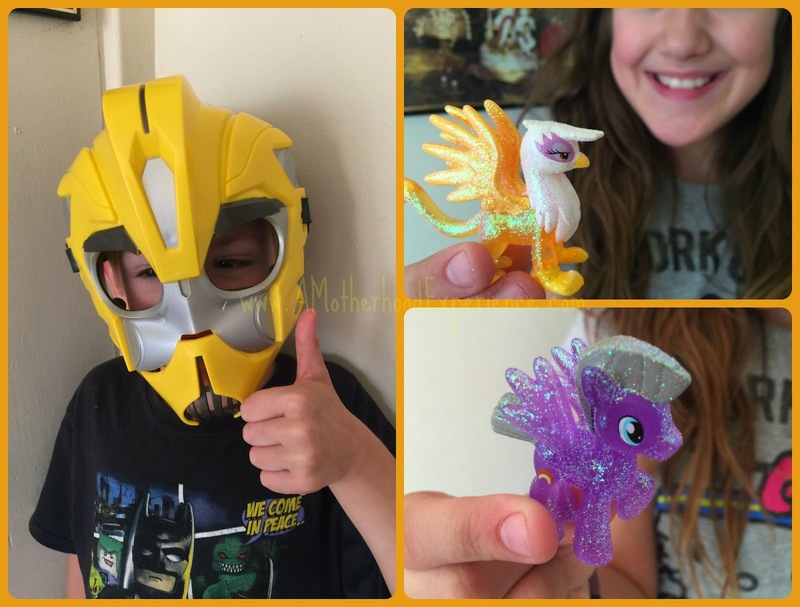 If you need accessories to go with those masks, Hasbro has that too with a great selection of Marvel and Star Wars accessories to complete your little ones super hero look! My son currently has the Spider-Man and Iron Man accessories, they are a great addition to his collection plus he can use them beyond one spooky night! Check out this post for more spooktacular Halloween tips and tricks! For more information about these and other toys from Hasbro Canada please visit the official website! Posted on behalf of Hasbro Canada. Opinions, Comments and Photos on this blog are those of the author.